Huw Richards is a freelance sports writer and an Associate Lecturer on BA (Hons) Sports Journalism at London College of Communication. Huw has written on football, rugby union, rugby league and cricket for a variety of publications including the Guardian, Independent, International Herald Tribune, Financial Times, Herald Scotland, When Saturday Comes and ESPN Scrum. 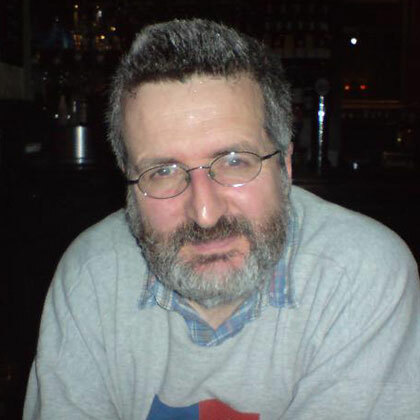 A Swansea City supporter, Huw possesses an encyclopedic knowledge of sports history and is the author of books including ‘A Game for Hooligans: The History of Rugby Union’, ‘The Red & White: A History of England v Wales Rugby, Dragons and All Blacks’ and ‘The Swansea City Alphabet’. He is also a former reporter for the Times Higher Education Supplement. Huw’s focus as a tutor on BA (Hons) Sports Journalism at LCC is on sports history and the contextual aspects of the course.